Open mid April – early June & late August – October for renting space at our camp we host over roughly 100 groups, approximately 80 of which are school field trips. Elementary, middle schools, high school, and College Retreats all come to experience the Cape Cod Sea Camps and everything a Cape Cod Field Trip has to offer! 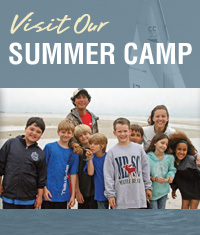 The Cape Cod Sea Camps is well suited for student field trips, school groups, environmental education groups, youth groups, Boy & Girl Scouts and other educational trips. When we are not operating our summer camp, we offer full accommodations and meals for educational groups and weekend retreats. With space for both groups large and small, we have accommodations and meal plans to suit any type of group. With over 60 acres of property located directly on Cape Cod Bay and more than 600 feet of private beachfront and tidal flats, CCSC is an ideal location to work on teambuilding, take part in interactive science studies, and experience an education opportunity outside of the classroom. While staying with us you can also take advantage of what other activities Cape Cod has to offer such as daily whale watching trips from Provincetown and Barnstable, countless historical and nautical museums, 43,000 acres of National Seashore and top notch marine education programs at the Woods Hole Oceanographic Institute. Leadership Weekend – Our Free Teacher’s Weekend on Cape Cod!